Understated design with a dynamic reach, Sweep is available as a floor, wall, or table lamp. This streamlined, extended, contemporary swing-arm is a design element that makes for ideal reading and task light. Sweep offers a minimalist contemporary style thats both perfect for the college dorm to the family living room. 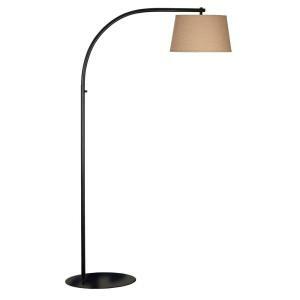 Tbook.com crawls the web to find the best prices and availability on Lamps and related Tools and Hardware products like Kenroy Home Sweep 69 inch Oil-Rubbed Bronze Floor Lamp. For this page, related items include products we find that match the following keywords: "Lamp" at our vendor partner Home Depot. Kenroy Home Sweep 69 inch Oil-Rubbed Bronze Floor Lamp is one of 143 Lamps and related products listed in the Tools and Hardware section of Tbook.com If you have any questions on this product, please give us a call at 734-971-1210 during the hours of 9am - 5pm EST for assistance. Thank you for shopping at Tbook.com, the Internet Department Store!